100 tiers of rewards to unlock in Fortnite Battle Royale every season - buy in-game to start earning. The Fortnite Battle Pass offers players of the hugely-popular, free-to-play Battle Royale mode 100 tiers of in-game extras to unlock over the course of a season. This can include everything from character and weapon skins, emotes or Sprays, to additional V-Bucks and experience boosts. Each tier has a set reward and is unlocked sequentially through regular gameplay, by gaining experience and claiming those all-important Victory Royales. Once an item is unlocked, it’s yours to keep and use whenever you choose. A new Battle Pass is released with the launch of each new season, filled with a brand new collection of unique rewards to unlock. Simply purchase this in-game from the ‘Battle Pass’ tab using V-Bucks and then jump into the game to start gaining experience and unlocking rewards. Each season, Fortnite gets a huge update, adding in new features, cosmetics, map locations and seasonal themes. Check out the below trailer to get a full update on what to expect in Season 7. Late joining the new season? Not to worry! Grab the Battle Bundle in-game and not only will you get access to the full Battle Pass for that season, you’ll also automatically unlock the first 25 tiers of rewards to help you catch up. The rest, though? That’ll be up to you! V-Bucks are Fortnite’s universal in-game currency. Not only can you earn them through play, you can also buy them directly through the in-game market. Use them to purchase your all-important Battle Pass or Battle Bundle or, if you’ve got your eye on something in particular, you can spend them on a huge range of cosmetics in Fortnite’s ‘Item Shop’. Can I use the Battle Pass with Fortnite’s ‘Save the World’ mode? ‘Save the World’ mode has its own great range of events and unlockable items. The Battle Pass, however, is exclusive to Fortnite’s free-to-play Battle Royale mode. 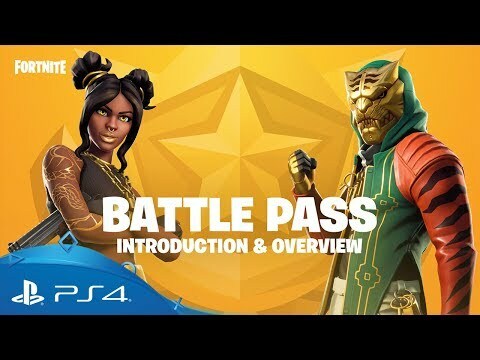 Battle Pass tiers can only be unlocked by competing in the game’s 100-player online mode and, once unlocked, those items can only be used in Battle Royale matches.